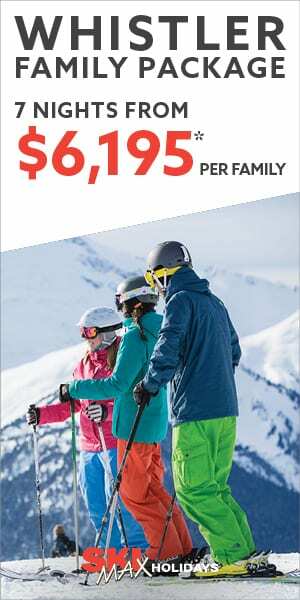 Skiing as a family is the best – fresh air, the great outdoors and the excitement of discovering and enjoying magnificent snow-covered towns and slopes are fantastic ways to create memories with your kids. However, it can be stressful, and in my humble opinion, the most stressful part is sending your kids to ski school. Want to know how to do this without suffering a nervous breakdown, dying of guilt or leaving them scarred for life? Read on, dear parents, read on. As any skier (and I use the term to collectively include snowboarders) knows, ski school is a necessary part of ski life. If you intend to get better at this sport, you will at some stage need to invest (and I do mean invest, it ain’t cheap) in ski lessons. As adults, this is, of course, a choice we make knowing that despite the discomfort (bathroom stops whilst wearing 5 layers of clothing including all-in-one hell suits, cold, wet days, throwing oneself down steep mountains) we should theoretically emerge a better skier. Our kids on the other hand, often have no choice, and they shouldn’t really, as very few of them would volunteer to spend a week in a new school, with new friends, new teachers and the very high probability that they will get cold and wet at some point and possibly execute some falls along the way. It’s not really an easy, calm safe sport to learn. But it is SOOOO worth it, as we ski elders know. 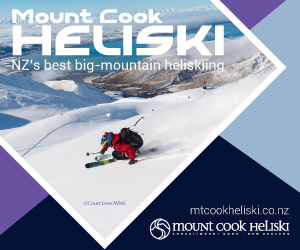 Once the skills are acquired, the kilometres skied and the magnificent mountain scenery has been experienced, in most cases, the skier is hooked. For life. And so it follows that we must also hook our kids to this sport so that we can go on and travel to snowy climes for the rest of our lives with our amenable kids in tow. So here are 3 tried and tested strategies we used on our recent trip which enabled us to enjoy a largely drama-free ski school experience. Before we went, I was feeling anxious about how our youngest child, 4 years old, would react to 2 weeks in ski school. It wasn’t that long ago, after all, that he’d finally settled into daycare and we were able to enjoy cry-free drop-offs each day. So I embarked on a series of couch YouTube sessions with him where we watched kids having fun skiing. We chatted about the gear they wore, the skis, the snow and generally familiarised him with what happens when you go skiing. He started to feel excited and wanted to experience it. Things were looking good. So once we’d make it to Whistler, and we had wrangled the kids into the 15 layers they would need to take on a day in sub-zero conditions, we took them to ski school. 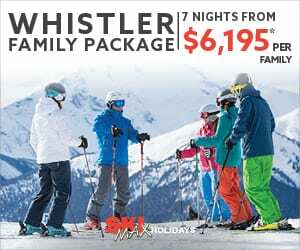 As with most things in Whistler and the North Amercian ski resorts like it, ski school is very well organised. There are fun, welcoming, youthful ski instructors waiting to welcome the kids individually. For the little ones, there are fluffy toys and choc chip cookies awaiting them in their classroom. You just have to get them through this initial introduction and drop-off moment, and you’re done, but this moment is not an easy one. Not in my experience. We had a happy, excited 4-year-old as we approached the ski school, but by the time we introduced Ted to his lovely new teacher Scot, we had tears. And screaming and clinging. Ted was so tightly attached to me that I could have run down the street without holding him and he would have clung on with all 4 limbs like a little koala. He was not budging. With Scot and I both prizing away fingers, promising cookies, hot chocolates and fun times, Ted was not going for it. He was red-faced, crying and desperate to stay with his Mama. It’s safe to say that at this point that I felt like someone was stabbing my heart with a large knife. I felt dreadful. My baby needed me, he was scared and would have done anything for me to cuddle him up, take him back to our hotel room and snuggle. So what did I do? I left him there, with lovely Scot and walked away feeling broken, gutted and utterly devastated. As I moped to the lift queue to meet the other adults, I reminded myself that one day he would thank me, that surely within minutes he’d be smiling and eating cookies and that this gift we were giving him would deliver him years of fun memories and adventures. But that day I struggled to put that farewell out of my mind. Was he still crying? Would I hear from the ski school soon? Would they know where to reach me? Would they tell me he was just too upset to partake in the day’s activities?? Sure enough at 3pm when I returned to ski school, Ted was strutting around in his ski boots and entertaining his classmates. When he spotted me he ran to me with a huge grin and outstretched arms and told me how he’d been doing flips (exaggeration is something he gets from me). The day was fun. He’d enjoyed his day. He learned some things. He had laughed. His teacher assured me the tears were short-lived and he went on to spend a day on the snow with friends laughing and learning. Oh my god the relief. And that was the worst of it. He still cried at some of the future drop-offs but not for long and not with the same level of abject fear. He understood what was going to happen and he was ok with it. By the end of the 14 days, he missed Scot. I’m presently experimenting with this idea and here’s my theory. That by keeping the fun alive and reminding the kids of the fun they had skiing, they will again look forward to it and get excited at the prospect of skiing. I’m having the ski school photos framed and we’ll find a nice place for them at home. I’ve looked at photos of the trip with them already and they’ve both asked when we’re going back. The cold and uncertainty has been forgotten for now, and so hopefully with another year of life experience under their belts, the next trip, and its set of drop-offs will be that little bit easier. A keen skier who thrives on crisp snow under boot, clean mountain air and the task of planning ski trips for herself, her ski-mad husband and 3 kids. Show her a ski resort and she'll show you a place she's desperate to visit. Her life ambition: to visit as many ski resorts as possible and enjoy their hospitality one Moscow Mule at a time.